Jane A. (Brooker) Glidden, 87, of Kensington, beloved wife of 67 years to Richard A. Glidden, passed away on Sunday, Feb. 25th at Hartford Hospital. She was born in New Britain on August 16, 1930 and was the daughter of the late Alfred and Ida Brooker. Jane graduated from New Britain High School in 1947. Before her son was born, she worked at the Travelers Insurance Co., as a card sorter machine operator prior to the computer age. 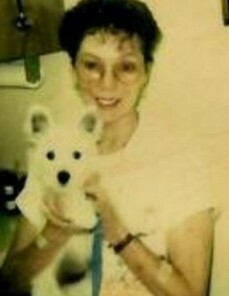 She loved her home, her Westie dog, plants, and feeding the birds. Jane is survived by her loving husband, Richard. The two met at a Halloween dance in 1941 when she was just eleven years old where he kissed her under the stairs - they have been together ever since. She is also survived by her son, Keith A. Glidden of New London. A memorial service will be held on Wednesday, March 7th at the Berlin Memorial Funeral Home, 96 Main Street, Kensington from 4 to 6 pm. Services will begin at 5:30pm. In lieu of flowers, donations may be made to the National Kidney Foundation 30 East 33rd Street, New York, NY 10016.